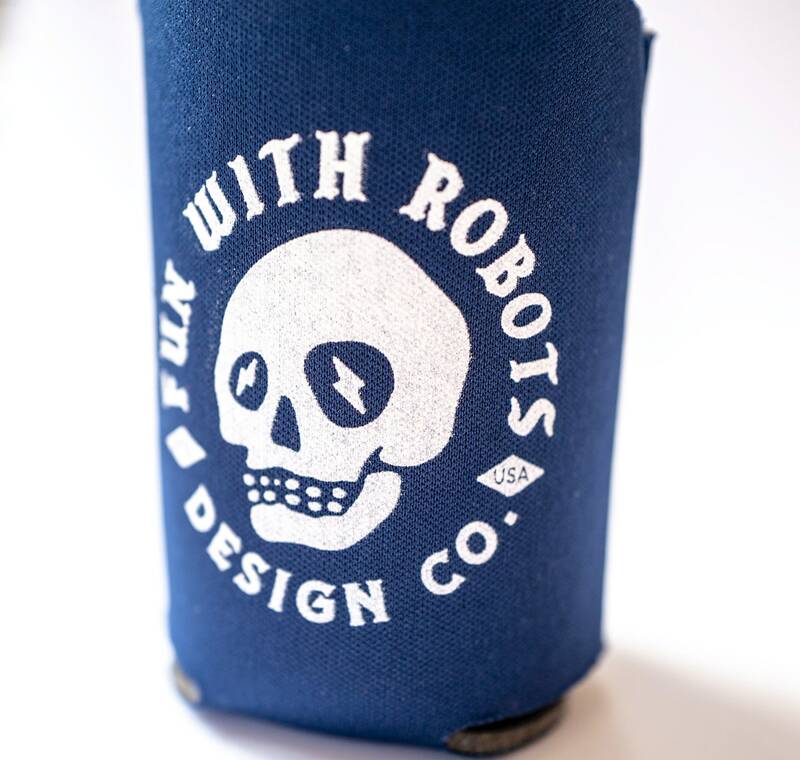 Fun With Robots is a design company that rarely designs for itself. 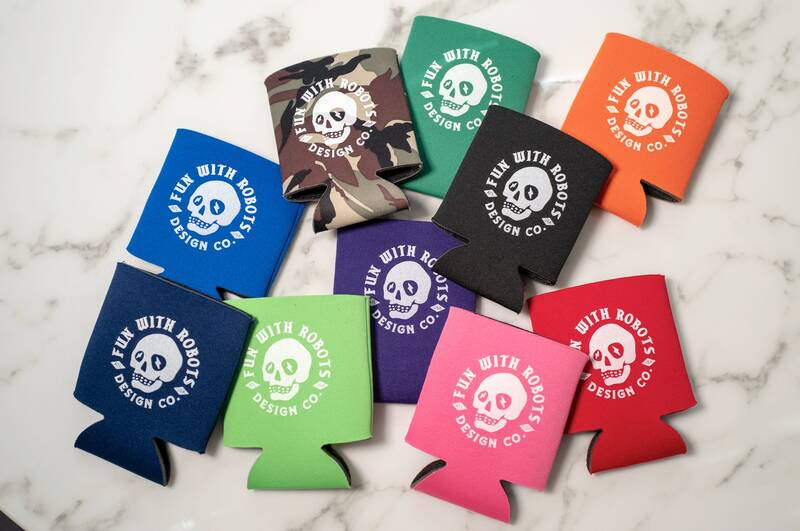 But here we are with a beverage holder to represent that business. Varied Colors with White ink. 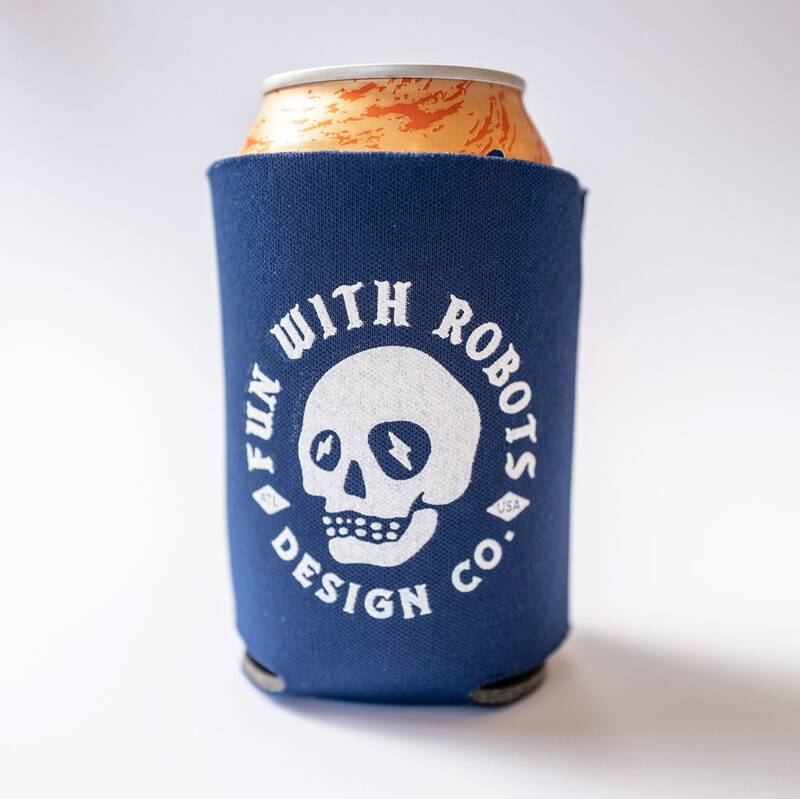 It can hold a standard diameter can or bottle and keep it cold, keep your hands from getting gross as well as let the world know you dig skulls and design companies. 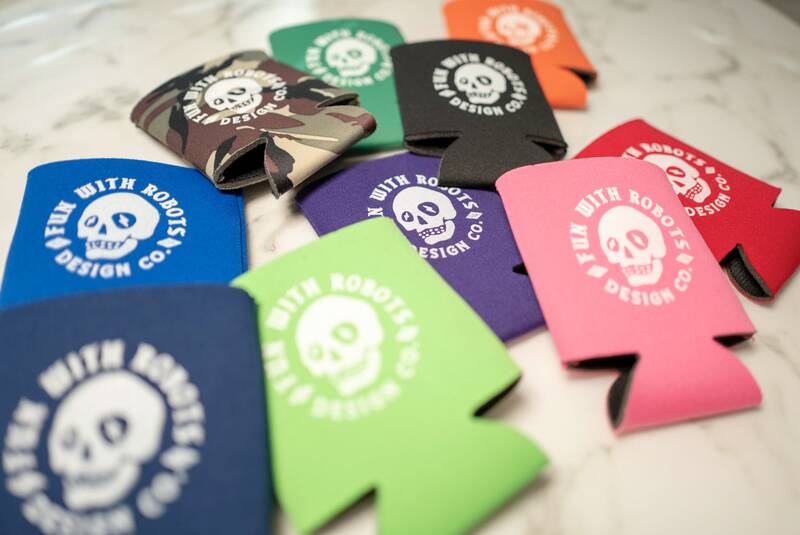 These come in the following colors CAMO · NAVY · BLACK · GREEN · PURPLE · RED · PINK · BRIGHT GREEN · ROAYL BLUE · ORANGE - so at checkout let us know which color you want, otherwise you'll be getting a random color. If you like taking chances... this is for you.